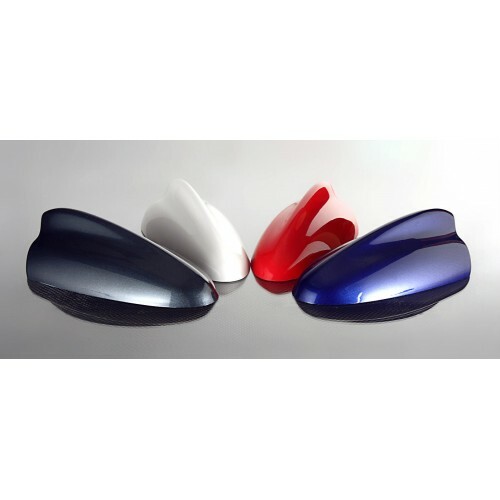 Shark Fin Antenna Now Available! These Visual Garage Shark Fin Antennas have been around for a while but we just got our account set up so we can offer them to you guys. Available for all years Fusions and Milans. Only $89.99 Painted/Shipped and ships free to Canada! 2006 Lincoln Zephyr. Far from stock. Posted in error - deleted. Edited by djminfll, 28 November 2016 - 10:57 PM. how to select color whiling purchasing? You put it in the comments while checking out. Just installed a CD3 shark fin antenna on my 2013 FFH SE. We had previously noticed that the Ice Storm color, which is essentially light blue, has a greenish tint in certain lighting conditions. After installing the antenna, it appeared to have a greenish tint while the rest of the car was blue. I finally figured out that it's all to do with the light reflection. The top of the car is flat, while the antenna has rounded corners, thus reflecting light differently. Move to the other side of the car and the antenna matches perfectly. We love it.